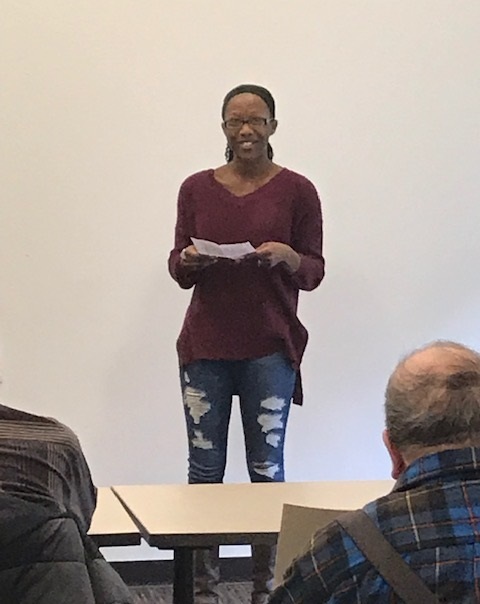 QIn January, Pat Dlugosh had the pleasure of accompanying Quail Summit team member JaCee Davis to the FLCC Home Health Aide Informational Session at Wood Library. Ontario County Office of the Aging, FLCC Professional Development, and Workforce Development were all in attendance to provide information to individuals who are interested in taking the 3 week HHA Certification Course. JaCee was asked to present on her experiences both as an in-the-home health aide and her current experiences working as an HHA at Quail Summit. There were approximately 20 people in attendance. JaCee did an excellent job in representing her passion and her profession as well as Quail Summit, and the opportunity for prospective HHA students will have for their clinical experience. Great Job JaCee!